Chemical Safety is always striving to find new ways to improve upon our already robust Environmental Management Systems EH&S software suite. As a part of our periodic updates, we implement new features into the system in order to streamline and reduce our customer’s workload, as well as improve safety throughout their facilities. EMS now enables users to print color-coded labels for Locations and Chemicals which makes it easy for them to store, locate, access, and replace inventory items. Labels can be printed for storage locations with scannable barcodes, location information, GHS pictograms, FPA diamond as well as the color and chemical category permitted in that location. 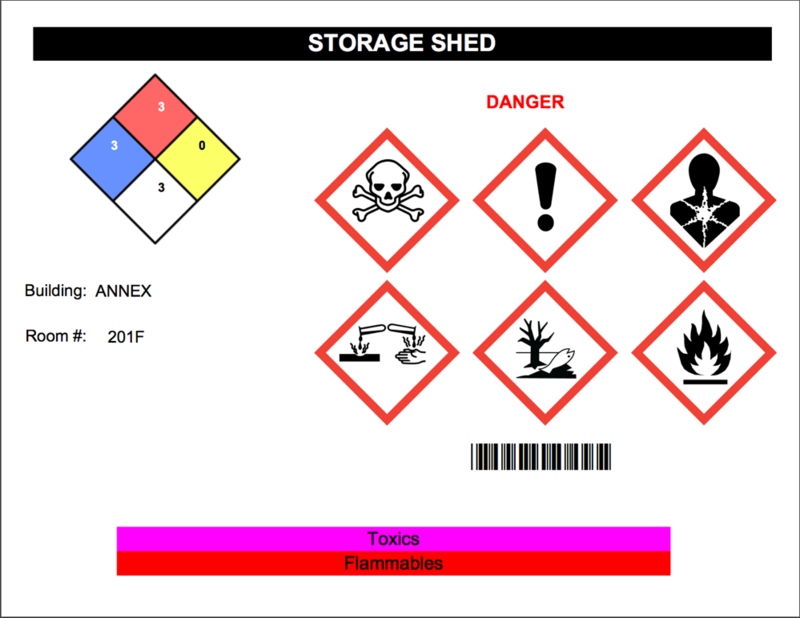 Similarly, by amending a color-coded chemical category to a chemical SDS record within the system, labels for Chemicals Containers can then be printed using the color code label format. When placing or storing a chemical in a location, the employee can simply check that the colors correspond, effectively mitigating safety risks, and saving time by doing away with the task of reading lengthy chemical labels. Once an employee locates the matching colors and places the item to the proper storage location, they can quickly scan the barcodes from both labels and quickly move on while ensuring that they have done so safely and accurately. Color-code labeling is just one more small step for Chemical Safety, to help our customers take one easy leap, towards more efficient and safe workplace operations. 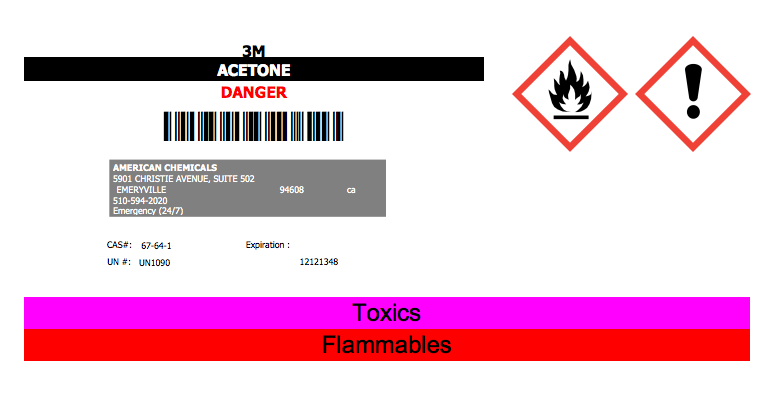 For more information on color-code labeling or other features of our EMS solution, please visit www.chemicalsafety.com or contact us at ems@chemicalsafety.com.